Hodell chats about how this Park City-born brand is maintaining its youth-culture focus, Skullcandy's efforts to give back to Park City, and how, at almost 50, he is "Staying Loud." 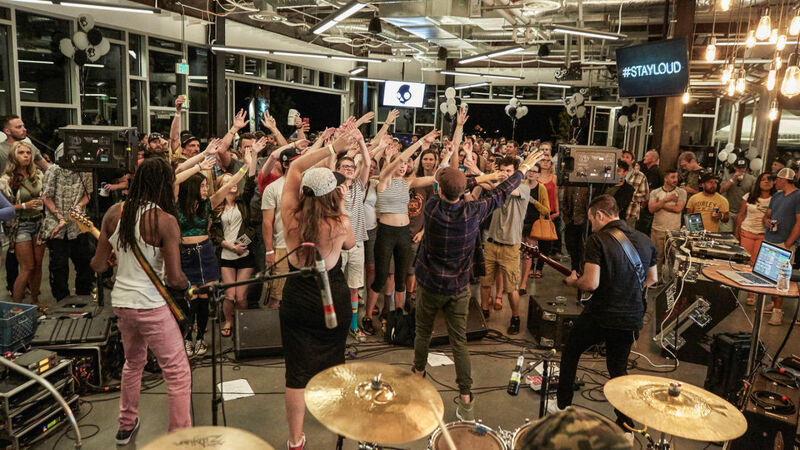 Skullcandy celebrated the opening of its new headquarters with a massive party open to the Park City community. There's no company that screams Park City quite as loudly as Skullcandy. It was, after all, on the slopes of our beloved mountains that founder Rick Alden came up with the idea to create headphones that could switch seamlessly between music and calls. Fast forward about fifteen years and the "Born in PC" start-up seems to have grown up. Skullcandy is now a multi-million-dollar enterprise, selling products in over 100 countries and moving house to a glittering new headquarters at the base of Utah Olympic Park. Despite all this change and maturation, Skullcandy remains true to its roots, as we discovered while talking to CEO Jason Hodell, who took charge in October 2016. Why did you want to be part of Skullcandy and where do you hope to take the company in the future? 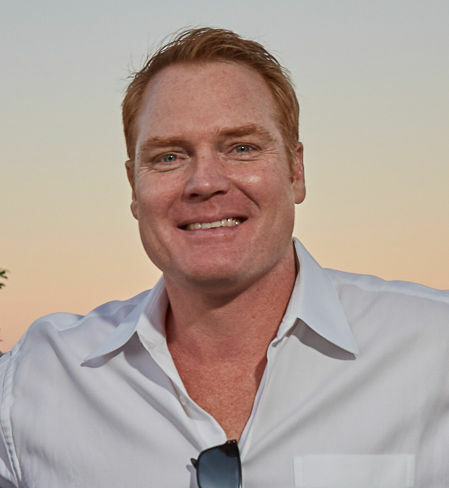 I first moved to Park City seven years ago, but it wasn't until four years ago that I realized the good fortune to join Skullcandy as Chief Financial Officer. There aren't a lot of big companies in Park City, which makes it an honor to work with one of the biggest and most iconic Utah brands. It's wonderful to see how much a lot of kids here really love wearing the "Born in PC" hat. The company owes its success to its focus on youth and counter-culture, which is how we'll continue into the future. Our goal is to create products that give our users an emotional connection and help them discover new artists, athletes, and new technologies to get more of the music they love. The new headquarters building is gorgeous. What does the building mean to Skullcandy? Think Architecture did a great job building it to fit right into the Utah landscape. We're right next to the mountain range with floor to ceiling windows and 360-degree views of these amazing surroundings. Aside from being really environmentally friendly, the design naturally gives us a lot of light and energy. Anyone who comes in here can feel it. The new space is very uplifting and allows us to work all within the same area versus being separated by three floors as we were previously. I can see two-thirds of the company right from where I sit and they can see me. Now we can actually invite the Park City community to come here and have a good time like we did for the grand opening party. We've incorporated music into the building, it's fully decked with audio equipment and we even have a recording studio for artists. A core part of Skullcandy's mission is focusing on youth culture. How are you reaching the kids? Social media has really let us connect with our customers with a level of engagement that's been both wonderful and surprising. We also done a lot to give emerging artists exposure through live shows and on Facebook. But I think our most recognizable and effective way of reaching out has been through our brand ambassadors. We just brought on female surfing star Coco Ho and now her fans and ours are intertwined. Making Skullcandy about about a certain type of lifestyle and creating events for people to be a part of has been a very effective grassroots campaign. What do you see as Skullcandy's role in the Park City community? We really are a brand that literally came out of being on the mountain here. Park City and Utah supported Skullcandy from the beginning and now we're lucky enough to be able to give back. Whenever people buy our products on our website, we let people choose local non-profits for the company to support, like the NAC, Utah Olympic Legacy Foundation, Make a Wish, and others. A lot of people may not realize it, but ten percent of our profits go right back into Park City programs. Skullcandy encourages everyone to "Stay Loud." As the leader of the company, how are you "staying loud" day to day? I'm almost 50 and graduated in 1987. The employees might roll their eyes and laugh, but I'm stay loud by way of '80s music--I especially love the alternative stuff. Being in Park City, I obviously get out on the mountain, too; I ski and snowboard, though not every weekend, that's just my kids. If you didn't happen to attend the opening party, make sure you keep your eyes peeled for the next bash. In the mean time, you can take a tour of the new Skullcandy digs here.